2018 Ford Fusion - the exception in its class. The Ford Fusion has garnered multiple awards over the years starting with The Car Connection’s best car to buy in 2013. For 2018, the Ford Fusion remains, for the most part, unchanged. That was to be expected given that the 2017 model was significantly enhanced. 2018 model-year buyers, therefore, get that refined and elegant design that stands out on the road, and all of the latest tech and safety technologies. When it comes to offering a lot of changes, nobody can top Ford. That’s even more evident in the mid-size sedan segment where the 2018 Ford Fusion features no less than four engines. There aren’t a lot of competitors on the market who can top that. The entry-level option is a 2.5-liter, four-cylinder engine that delivers 175 horsepower. Next in line comes a 1.5-liter, four-cylinder turbo engine that delivers 181 horsepower and plenty of low-end torque that makes this engine seem faster than it actually is. Then, there’s an even more powerful 245-horsepower, turbocharged four-cylinder engine that bridges the gap between the 1.5-liter turbo and the most powerful engine in the 2018 Ford Fusion lineup, the 2.7-liter twin-turbo V6 that makes 325 horsepower and 380 lb-ft of torque. All-wheel drive is standard with this engine, and every 2018 Ford Fusion gets a six-speed automatic transmission. The sound of the V6 is surprisingly entertaining, and you can be sure you’ll never run out of power when accelerating or passing. 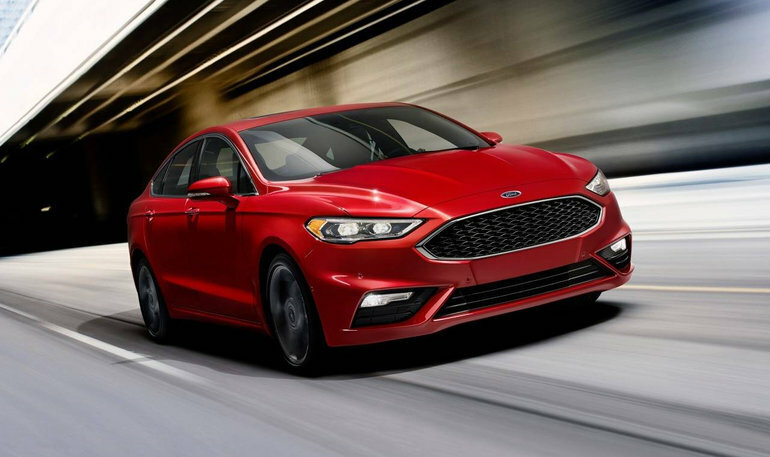 When it comes to driving the 2018 Ford Fusion, there is no question that buyers will be more than impressed with the overall comfort and refinement of the mid-size sedan. This is a vehicle that is meant to be driven on long rides, and is soothing and relaxing every kilometer of the way. It is also very quiet, and very spacious. It’s no wonder the Fusion is so popular with rental fleets as well as with companies who use them as executive cars. Driving the 2018 Ford Fusion is a comforting experience, and yet when you need power and performance, the turbocharged engines are there for you. 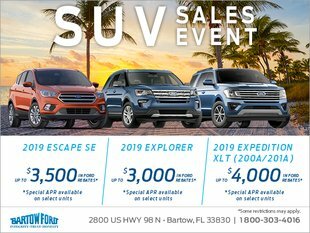 To learn more about the 2018 Ford Fusion, contact us today at Bartow Ford!